Ky Chow is my favourite Chinese restaurant in Adelaide. I’ve been coming here for years, even when it was located down the western end of Gouger Street. Back then, the restaurant was small and they would try to cram as many people in as possible. At their new location, the decor is more modern and elegant, but the quality of the food remains the same. The atmosphere here is relaxed and the service is excellent. My two favourite dishes at this restaurant are the Crunchy Beef and the Sizzling Steak. 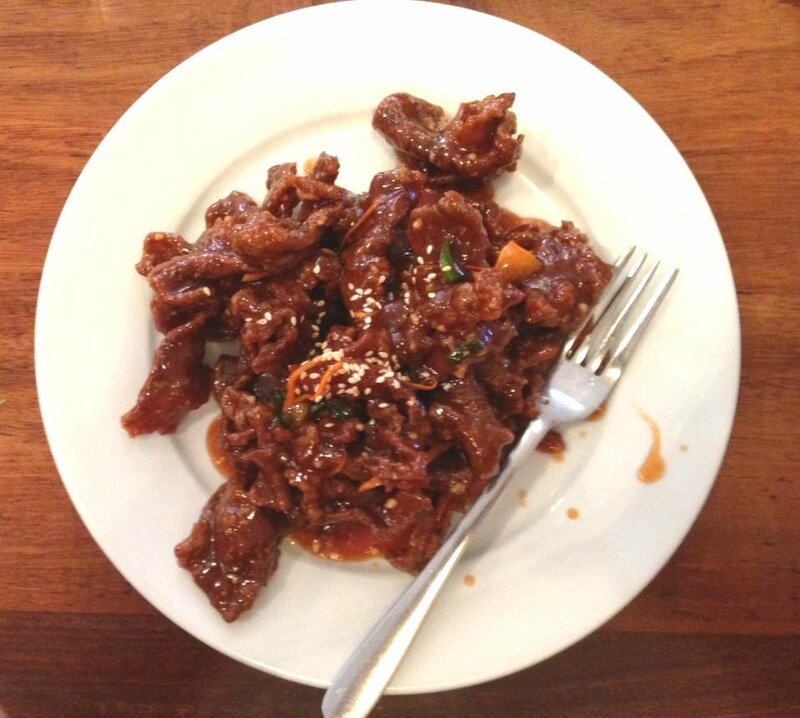 The Crunchy Beef is made up of thin battered beef slices that are lightly fried until they are adequately crunchy. The sweet and sour sauce is not overly sweet, so there is always room for more. The Sizzling Steak is lean tender juicy steak that is served to your table on a hot plate. The smoke billowing off the plate is a bit of a novelty, however the dish itself is not one to be missed. There are similarly named restaurants nearby, but if you want Chinese chow, the only chow you should be chowing down is at Ky Chow.